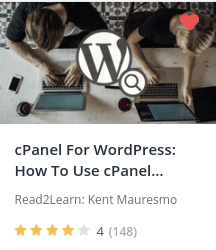 In all CAPS, use the coupon code KENT458 for the video courses below. 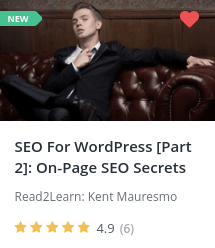 This is the official source to get our 70 – 95% off Udemy Coupons for Kent Mauresmo’s WordPress & SEO video courses. Our coupon codes are updated often. Some of our courses are free, and some of our courses are paid. 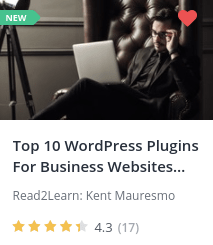 You can usually watch our discounted courses for $9.99 – $14.99 depending on the Udemy course and how much work went into producing the videos. 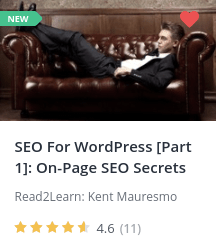 We have an SEO For WordPress video course for beginners, and we also have an SEO For WordPress video course for experts. Each video course comes with a worksheet to help you follow along with the course. The video courses are updated once per year to make sure all the links and resources all the same. I have been doing SEO the same since 2012 and I have never been penalized by Google. I also have multiple websites on the first page of Google, so obviously my SEO strategy works and there’s no need to change it. Some people will say that my strategies are outdated or that I don’t know what I’m doing, but none of that actually matters. Money talks and we make a lot of it doing SEO for our own private websites. The entire point of doing SEO is to increase your exposure on Google so you can make a lot of money. If people want to think our strategies are outdated, then good! Less competition for us which means more money for us. 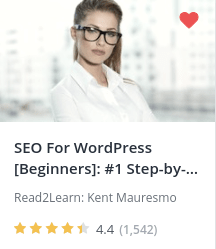 A lot of people out there teach SEO in theory. What exactly does that mean? People that teach SEO in theory don’t actually do SEO. Instead, they read a bunch of blogs online, Wikipedia, watch MOZ videos on Youtube, read a couple more blogs, and then decide they are an expert at SEO because they read some stuff. 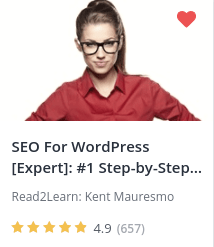 Next, without even testing out everything that they’ve learned to see what works and what doesn’t work, these people claim to be “experts” and start to teaching what they learned about SEO to other people. That’s what’s known as teaching something in theory. If you look up the word theory in the dictionary, you’ll notice that the synonym for that word is “assumption.” So what’s actually happening is that people are teaching SEO based on assumptions on how its supposed to work based on what they read online. That’s why they’re are so many opinions about what works and what doesn’t work when it comes to SEO because there are people that are actively doing SEO, and the other 95% that just read blogs about SEO. 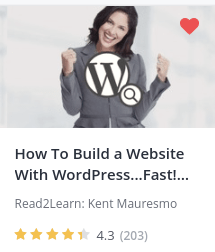 The strategies you’ll learn in this video alone will usually get to page 2 of Google within 30 days….and this is just a beginners course. 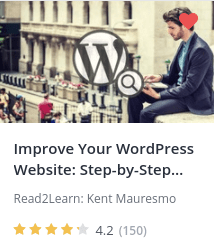 I highly recommend that you watch this video course and try everything that I’m saying without worrying about what you read on some other blog. There’s no way for you to know what works and what doesn’t work until you actually try it. 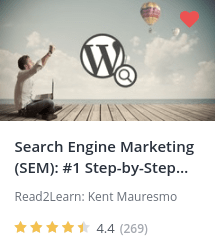 Stop learning search engine optimization in theory and learn search engine optimization by actually doing.